The Federal High Court in Lagos on Friday granted an application by Innoson Nigeria Limited and its Chief Executive Officer/Managing Director, Mr. Innocent Chukwuma, to withdraw an ex-parte motion they filed against the Economic and Financial Crimes Commission, (EFCC) and Guaranty Trust Bank Plc. They had sought injunctive reliefs against the commission, Attorney-General of the Federation, the Police, the Inspector-General of Police and Guaranty Trust Bank Plc. Among others, Innoson alleged that his arrest and detention by the EFCC was instigated by GTBank. He has since been released from detention. When the case, filed on Thursday, came up before Justice Rabiu Hadiza Shagari on Friday, GTBank’s lawyer Adebowale Kamoru, urged the court not to hear the ex-parte motion. He said his client knew about Innoson’s move to get injunction against them, adding that the applicants suppressed material facts. Kamoru cited several judicial authorities, urging the court to hear his client although the ex-parte motion was not formerly served on them. Innoson’s lawyer Prof. MacCarty Mbaduagha said he was withdrawing the application. He said he was instructed by his client to do. Kamoru did not oppose the withdrawal, following which Justice Shagari granted the application as prayed. 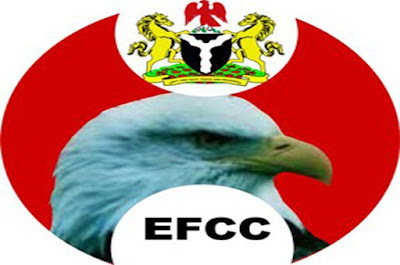 Barely 24 hours after his arrest, EFCC on Thursday released Chukwuma on bail. The anti-graft agency said Chukwuma and his brother, Charles Chukwuma, were being probed for alleged N1,478,366,859.66 fraud and forgery. The industrialist was also accused of using forged documents to secure tax waivers.